The industry in developed country was strengthened by academia-industry linkage. Pakistan, among other Asian countries, is far behind in the development of this relationship. Commercialization of high technology products becomes possible through strong academia-industry linkage. 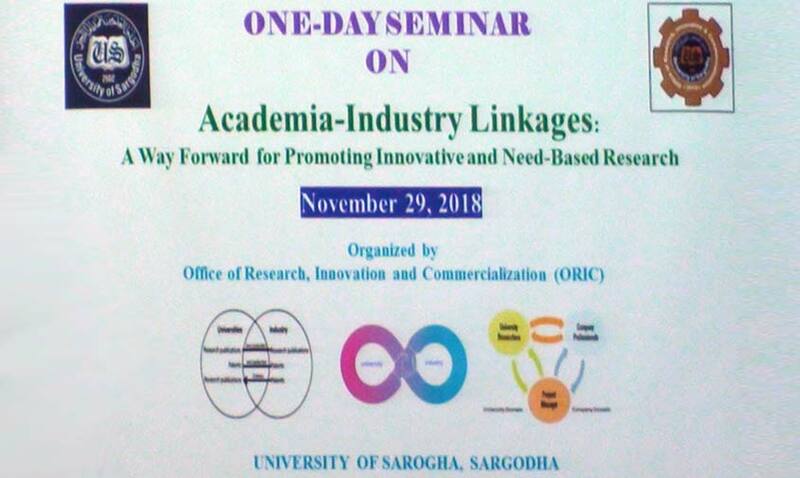 A one day seminar was organized by Office of research Innovation and commercialization (ORIC), University of Sargodha that highlighted the importance of academia-industry linkage and the long-term effects, it impart on the development of nations. National policies, in bridging the gap, are keystone for building the foundation of academia-industry relationship. Strategic measures for a strong and effective academia-industry linkage were outlined in this one day seminar. Dr. Farooq Anwar, Director ORIC, University of Sargodha, tinted in his opening remarks about knowledge, technology transfer, product development, and commercialization of idea to bridge the gap between academia – industry. 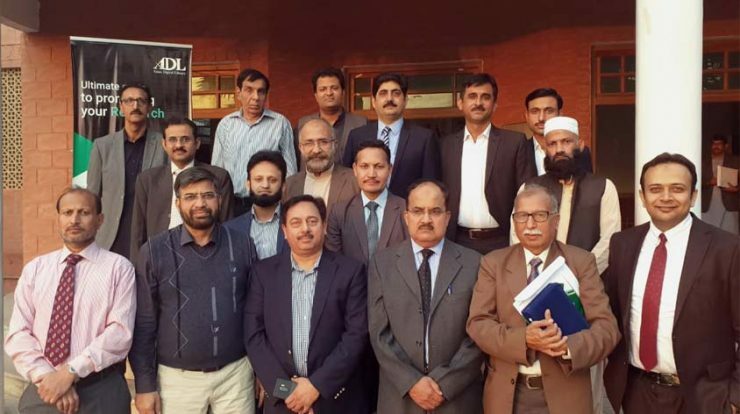 Dr. Ahsan Akram, Information Scientist at Asian Digital Library attended a seminar on Academia- Industry linkages held on November 29, 2018. Theme of seminar was a way forward for promoting innovative and need- based research with tie up Academia- Industry linkages. 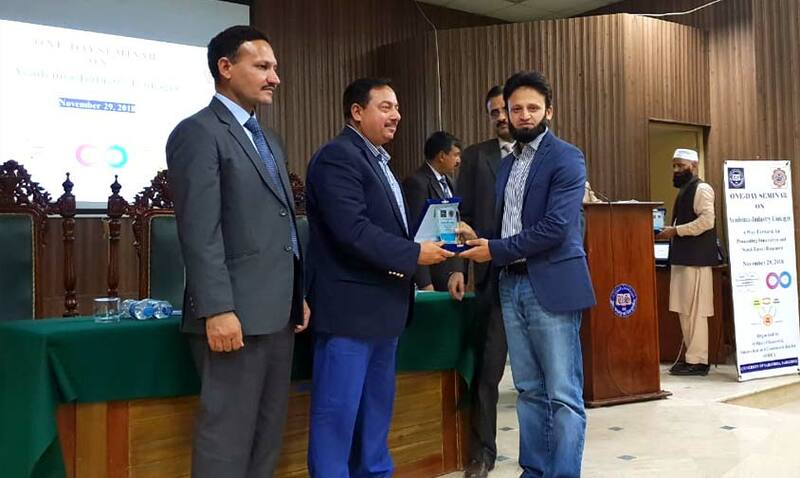 Dr. Ahsan Akram was invited as a key note speaker and he delivered a talk on “Asian Digital Library- an authoritative indexing tool with special emphasis on academia publishing industry linkage. He also throws light on vision, mission and objectives along with services offered by the ADL. Geographical coverage of titles, comparison of indexed journals among leading industry and subject category of contents inclusion were all ears points of his talk. It was prolific and interactive talk to bridge academia and industry. The ADL has always been committed to other industry organizations and has tried to support their events by its participation and contribution. Not only to develop new collaborations and partnerships, ADL also strived to update its key representatives to have new insights and ideas which can be further implemented in Asian scholarly industry. Out of the much positive and new learning for the seminar, there were some key ADL meet ups with its organizers, key note speakers, participants from Academia and industry at this scholarly gathering. 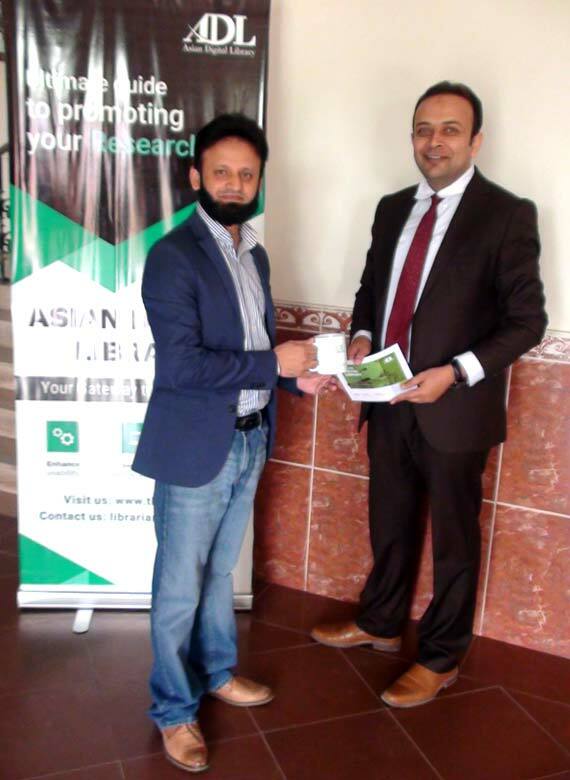 Dr. Ahsan met with Dr. Khuram Zia, Assistant Professor, manager Academia- Industry linkages, ORIC Focal person from University of Agriculture Faisalabad, and discussed about mutual collaboration between both organizations. 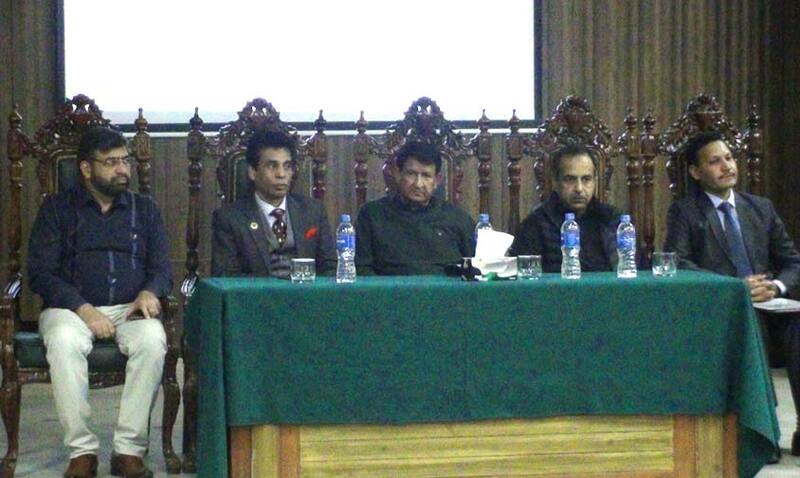 Dr. Khuram also invited him to deliver a talk at University of Agriculture Faisalabad. Ahsan had also sideline meeting with Mr. Fazal Ur Rehman Khalil, president Sargodha Chamber of Commerce and Industry and share role of ADL in publishing industry. 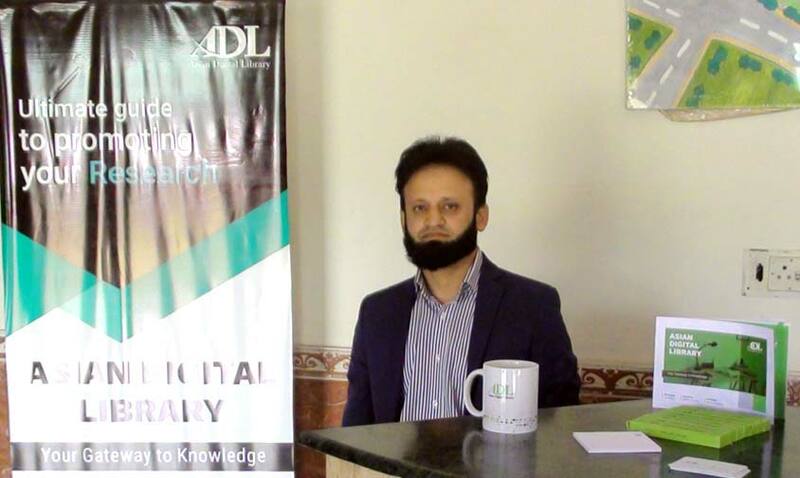 Other than this, Dr. Ahsan met with Dr. Muhammad Asif Hanif, Assistant Professor, University of Agriculture Faisalabad and Editor In Chief, International Journal of Chemical and Biochemical Sciences discussed about indexing services of ADL. Both agree with future collaboration between organizations and strength academia Industry linkages. Overall, seminar proved a great networking and learning place for its participants.